One of our favorite things to do together as a family is to watch movies. We go to the movies regularly and we watch a lot of them at home as well. We connect over movies, and really have fun getting involved in the stories. 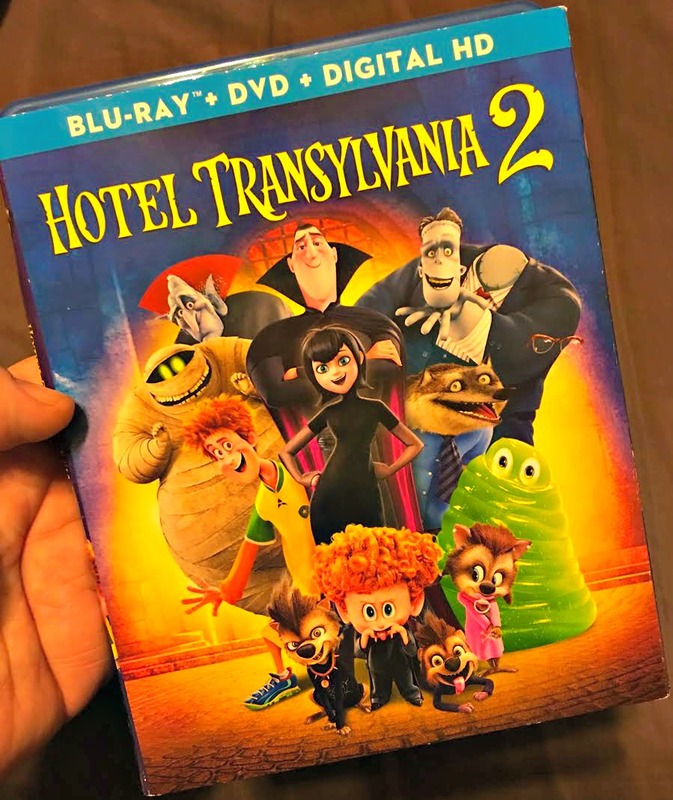 My kids were absolutely thrilled to get to watch Hotel Transylvania 2 on Blu-ray. If you have kids from 2 to 100, then they need to see Hotel Transylvania 2. Dracula, Mavis, Jonathan and their monster friends are back for a brand-new adventure! 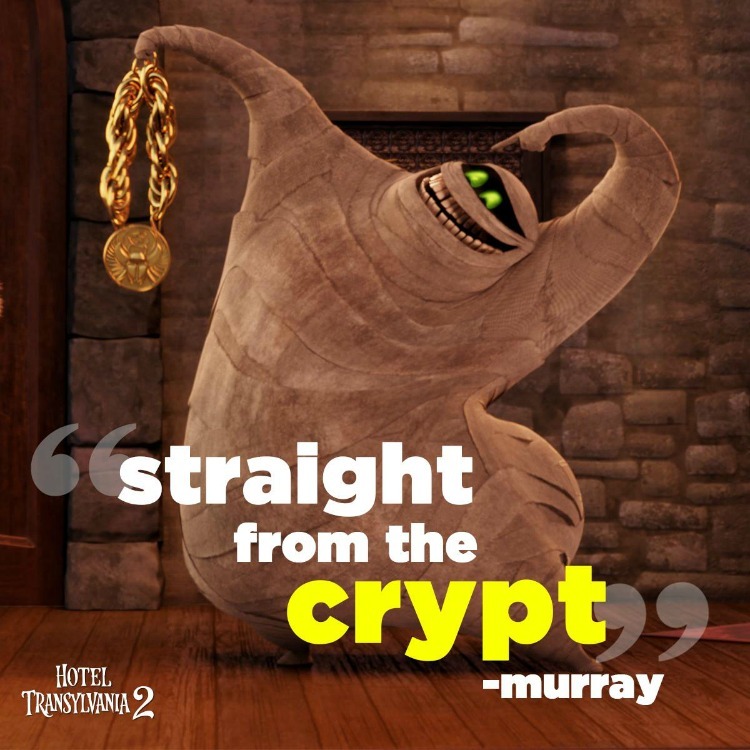 #HotelT2 is now available on Blu-ray and Digital. Do yourself a favor and buy it right now. We recently hosted a monster-themed movie night for family and friends, where we watched Hotel Transylvania 2. The film is now available on Blu-ray. We absolutely loved the fun and interactive extra features found only on the Blu-ray and digital download. Each kid picked their favorite character and then went to work. They turned out great. My son was so excited after the movie that he really wanted to draw the Hotel Transylvania 2 characters. 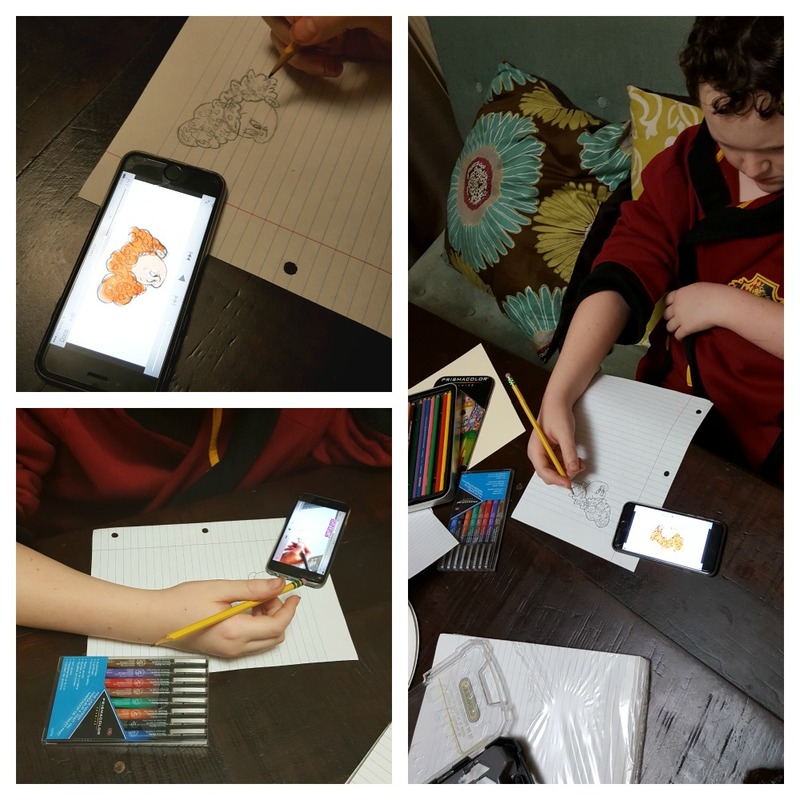 He got out his pencils and sketchbook. 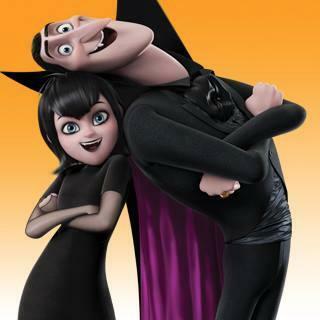 Who Is Your Favorite Hotel Transylvania 2 Character? Bring home the #1 monster movie of the year, with tons of family-friendly extras. 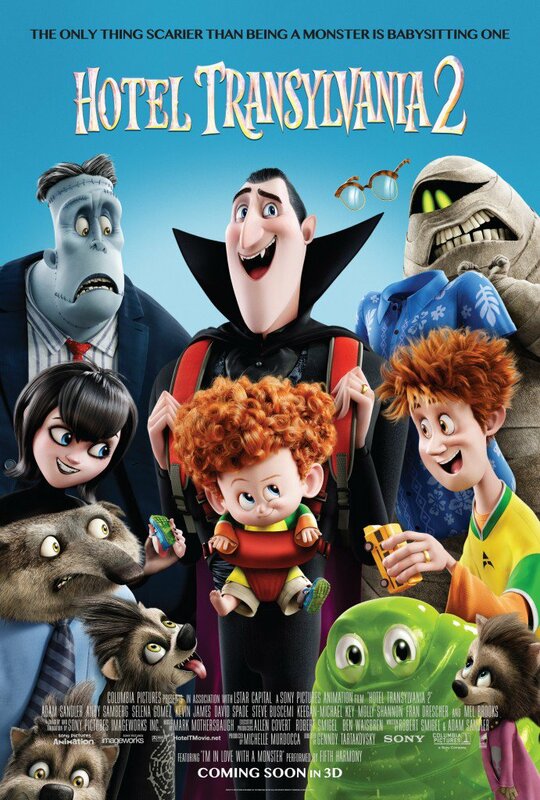 Hotel Transylvania 2 is now available on Blu-ray and Digital! Have missed watching both of the movies. We need to sit down have a family night and watch these movies they look adorable. We missed this in the theaters, so we are looking forward to seeing it now that it’s out on DVD! 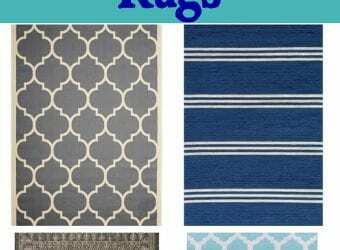 My kids would love to do a project like this to go along with movie night. We’ve been wanting to watch Hotel Transylvania 2, and I can’t wait to make a night of it like this. We love having movie nights too!! We saw the first Hotel Transylvania and now can’t wait to see this one!! We loved this movie. It was such a cute sequel. 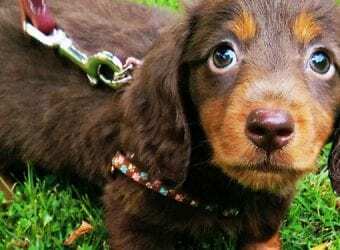 I will have to buy this to go with the first one. I have not watched any of them. I guess my main reason is that I do not have small children anymore. I will let my sister and cousin in on this. Their young kids would love seeing it. I haven’t bought this movie yet for the grand kids so I’ll make a point to do that. I see it came out today and I’m looking forward to family night and I’ll have to make sure everyone saw the first one as well. I have not seen this movie yet. My husband took my daughters to see it at the movie theater and they loved it. I’ve watched both 1 and 2 and I would really say they are equally fun. The kids love them. I still have yet to see the first movie, but my boys have shown interest in watching it. Hotel Transylvania 2 is a fantastic movie. I just picked up a copy to watch this weekend. I love the mask craft. I will have to make some with my friends little ones. Oh great! We loved the first movie but missed Hotel Transylvania 2! It’s good that it’s on DVD now, can’t wait to get this! We just watched the first HT movie so this would be fun to watch as well. We are always late in catching up with movies lol. The twins love to watch this movie over and over again. This is really a cute film. This seems like an adorable movie!! I would love to see it myself! We seen this in the theatre because we couldn’t wait any longer to see it. We loved the first one but the second one was kind of disappointing because it was not nearly as funny as the first. Sounds like a very fun movie! I’m sure kids will love it. This was a cute film for families. My kids really enjoyed the first one! 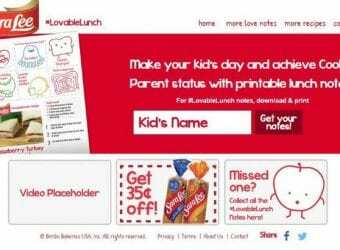 Perfect for family fun nights! Our kids really want to see Hotel Transylvania 2! We’ll definitely have to check it out! PS the masks are such a cute idea! I haven’t seen this movie.. Your little one is so talented. 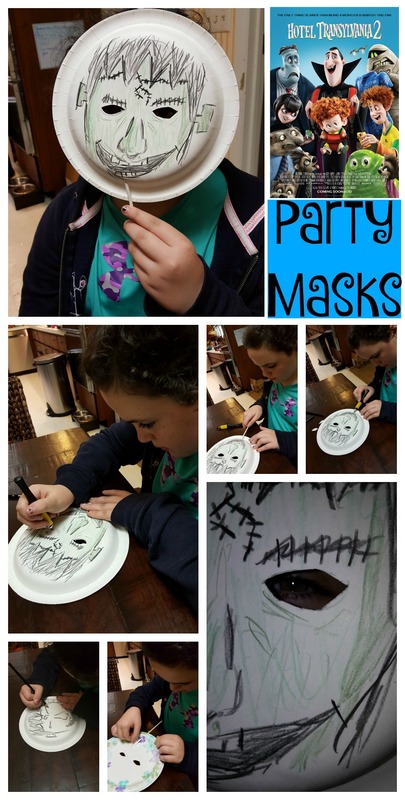 Love the sketch/mask..
Great party mask idea! We watched this film in the theaters, it was so much fun! Such cute crafts!! This is one flick we’ll definitley have to purchase or rent. My daugher loves the first one and it sounds like the second one is a must! My kids loved this movie, we saw it in the theaters on Halloween Day. It was so worth the long wait, I couldn’t stop laughing. We didn’t see this yet, but it looks like a great family-friendly movie! The paper masks would be fun for the kids to do after watching.